Only one of two Atlanta campus Speaker of Senate candidates was in attendance during Tuesday’s first round of Student Government Association (SGA) debates. 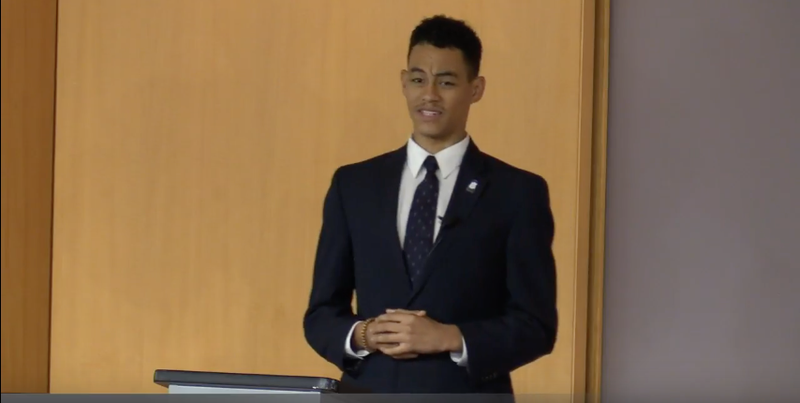 During the one-man debate, candidate Devante Hill spoke about social events to bridge gaps, “tough love” for student government members and bringing back past traditions. The other Atlanta campus Speaker candidate is Anderson Dorvil. During the Fall 2016 semester, Georgia State administration threw out the Library Plaza due to safety concerns from overcrowding. Hill said he wants to bring back a “better, more inclusive” version of the Georgia State tradition while in office. But Hill said one student complaint about Plaza was the strong presence of historically-black, Greek fraternities. In regards to safety concerns, Hill said that informing students about the hazard created by overcrowding and keeping “a pathway so people can get out” would prevent any issues. The Speaker of the Senate’s main responsibility is to oversee senator’s actions. He added that “snacks never hurt” when motivating senators to get involved. Hill said that it is each SGA member’s responsibility to stay informed about issues, and that he plans to discuss “bring up” these issues regularly during senate meetings. Campus safety is an issue guaranteed to be discussed during Georgia State SGA debates. Hill expressed optimism that familiarity will breed increased safety, suggesting social events with Georgia State police (GSUPD) and students. Currently SGA meeting information is available on the organization’s website and The Signal covers each meeting in an article published the following week. However, many students remain uninformed about SGA’s activity. Hill said emailing the info could help solve that problem. During the debates, President of the SGA Election Commission, Usra Mohamed, said that in previous SGA administrations, “there’s always been sort of a disconnect between your executive board members and your senate members.” She asked Hill how he plans to bridge that gap.